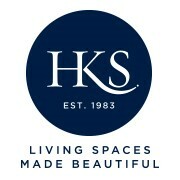 H K S Interiors Ltd - Bathrooms, Bedrooms, Kitchens based in Heathfield, East Sussex. With four showrooms located in Eastbourne, Haywards Heath, Heathfield and St.Leonards-on-Sea HKS are considered to be the South East’s leading specialists…..
HKS is a family business specialising in designing and installing quality fitted Kitchens, Bedrooms, Bathrooms and Studies. HKS offer a full service including initial survey, design, project management and installation as well as a ‘supply only’ service and deal with a range of carefully selected suppliers offering outstanding value for money to suit a wide range of budgets. For over 30 years HKS has been providing every customer with the highest level of personal service, design and craftsmanship. HKS are an approved member of the KBSA (Kitchen, Bedroom, and Bathroom Specialists Association) meaning you can buy with complete peace of mind and be assured of the utmost in professionalism and quality standards. From the first time you step into one of HKS's four showrooms you will be greeted by one of our Designers or Sales team who will be very happy to show you around and answer any questions that you may have. Once you have had a look around the stunning displays a Designer will be pleased to come out and meet you at your house to discuss your requirements and take you through various options. From here the Designer will prepare a design and quote for your Kitchen, Bedroom or Bathroom based on your requirements and budget. You will be amazed at the level of detail they will go into to make sure that the design is both stylish and practical. Once the designs are ready he/she will invite you into the showroom to take you through the proposal. Once you have decided to proceed with an HKS Kitchen, Bedroom or Bathroom the Head Office staff will contact you to arrange a convenient time for delivery and installation and will always be available for any queries you may have. You will be allocated an Installation Manager who will take care of the project from start to finish and will work very closely with the installation team to ensure that the installation process is run as smoothly and efficiently as possible. 1) They are a family business with over 30 years’ experience in the industry and four stunning showrooms. 2) They offer a free design service with some of the best Designers in the industry. 3) They offer a fully managed service with two dedicated Installation Managers and exceptional quality of fitting. 4) They pride themselves on outstanding customer service levels. 5) They offer a good selection of quality products to suit a range of budgets. Visit their website at www.hks-uk.com for more information.